How important is art? If civilisation collapsed, would reviving or keeping art alive be as important as doing the same for, say, science? 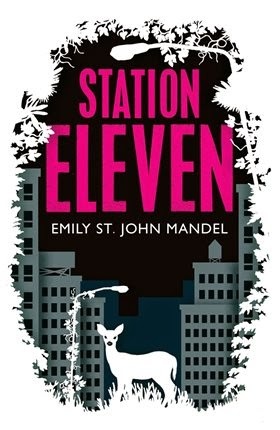 In Station Eleven, a post-apocalyptic novel set in North America after a flu has wiped out 99 per cent of the world's population, Emily St. John Mandel looks at the question of whether survival is enough, or whether we need more in our lives to help us live. Twenty years after the Georgia Flu changes the world - no more societies, no more borders, no more air travel, no more - a group calling themselves the Travelling Symphony perform concerts and Shakespeare to a series of settlements. Landing in a town they've visited before, the group are confronted with a new threat, a man who claims to be a 'prophet'. Station Eleven is gloriously crafted, starting with the death of famed actor Arthur Leander (note the clever Shakespeare connection) on the eve of the Georgia Flu crisis, and skipping forwards and backwards between the Travelling Symphony and the world before it collapsed. We're introduced to a series of characters - as well as Arthur, we meet his first wife Miranda and his best friend Clark, we get to know Jeevan, who was warned about the flu just in time and whose actions have a ripple effect he doesn't know about, and finally there's Kirsten, a girl when the Georgia Flu hit, and now an actress with the Travelling Symphony. The narrative style moves you swiftly from one place to another, with Mandel giving just enough glimpses into the old and new worlds that you have a full picture of life both before and after. "...Frank standing on a stool on his wondrously functional pre-Libya legs, the bullet that would sever his spinal cord still twenty-five years away but already approaching: a woman giving birth to a child who will someday pull the trigger on a gun, a designer sketching the weapon or its precursor, a dictator making a decision that will spark in the fullness of time into the conflagration that Frank will go overseas to cover for Reuters, the pieces of a pattern drifting closer together." In the present, Mandel continues to explore connection, but also the importance of art (in a world where art is "pure" and not tainted by fame), the way different people interpret the same works, and the value of memory and remembering. One of the Travelling Symphony's caravans is adorned with the slogan "survival is insufficient", from a Star Trek episode which no longer has meaning to many alive in the present day, but the message of which is central to the work of the symphony. As the symphony travels around the "country" (no borders, remember? ), they choose to perform plays by Shakespeare, whose themes of love, war and more are as relevant to the post-Georgia Flu world as they were when the Bard wrote them. And the eponymous Station Eleven, a setting for some comic books which are a central part of the story I don't want to spoil, are interpreted in two completely different ways by two people, with dire consequences for some. Art is used for both good and bad in the book. Mandel also makes sure to focus on memory and remembering. While there are many who can't remember a pre-flu world, they are still surrounded by it creations - the cars on the roads that no longer work, the houses that are crumbling before their eyes, the aeroplanes sitting on the airport runways. The value of remembering (illustrated most in the works the Travelling Symphony performs and in the Museum of Civilization) is balanced against the need for people to accept what has happened and move on, not be bowed down by ghosts. Mandel writes about this dilemma with such beauty, best illustrated in the story of how one group of people, spared from the flu, changed and adapted. Station Eleven is, in many ways, a love letter. It's a love letter to the earth and the civilisation we know now and that we take for granted in many ways - the earth and civilisation that is the past in Station Eleven. It's a love letter to the resilience of humankind, and its ability to cope with the end of the world. And it's a love letter to creativity and art, one framed within a beautifully written piece of work. Did you consider exchanging with the most recommended Bitcoin exchange company - YoBit. YoBit lets you to claim FREE CRYPTO-COINS from over 100 unique crypto-currencies, you complete a captcha one time and claim as many as coins you can from the available offers.